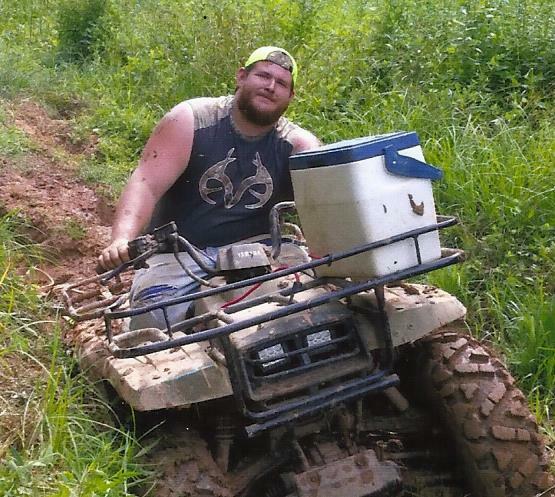 Alexander Wayne Lloyd, age 24, of Appomattox, VA passed away on Saturday, August 11, 2018. He is survived by his parents, Allen and Gale Lloyd; a brother, Justin Lloyd; grandparents, Sandra Lloyd, Larry and Loretta Davis; great-grandmother, Nannie Mae Lloyd; a special friend, Glenna Mahunik; and numerous other family members and friends. Alexander was preceded in death by his grandfather, William Lloyd; great-grandparents, Newton and Vernie Seamster, Everett Lloyd, Ida Dungans; and a cousin, Gerald Robinette. A memorial service will be held at 2 p.m., Saturday, August 18, 2018, in Prospect Gospel Tabernacle, Prospect, VA. The Browning-Duffer Funeral Home in Keysville, VA, is serving the family. Gayle there are no words I can say will take away the pain you are feeling. I hope God will show you a way to get thru this. You and your family are in my thoughts and prayers. I’m here if you ever need me love you cousin. I am so sorry about your son. I wish I could be there for you but I am in Buffalo Springs. With no way. If you need anything I will be here. Love y’all with all my heart. Gale was saddened to hear of your sons passing. So sorry for you and your families pain. Thoughts and prayers for you all. Praying you all feel God’s love , comfort and presence during this very difficult time. Your friend Becky . I have known this family for many years and please know that you are all in my thoughts and prayers during this most difficult time. God will give you all the strength to endure this tremendous loss. I am so sorry for your loss! During this painful and sad time I pray that God touches you in a mighty way and helps see you and your family through. I am sorry Allen and your family’s loss. May god be with y’all in your time of need! Jerry and i extend our deepest sympathies. Prayers for you all..